In a previous post, I wrote about what Over Green is a Great Formation. Over (LT/RT) Green gives you a number of advantages. I like the formation especially against a 4-4 defense. 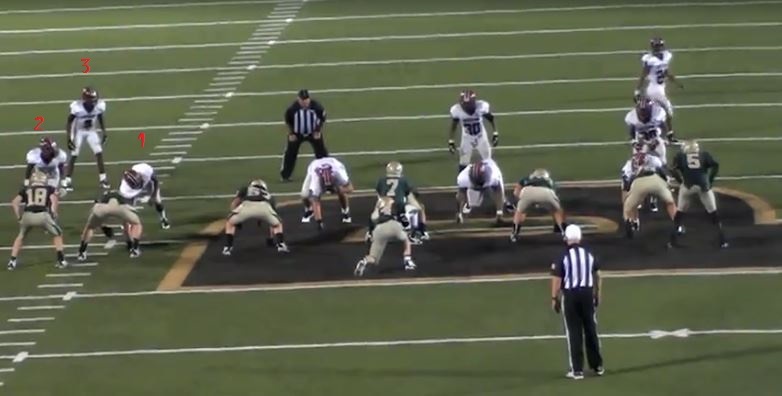 Changing formations is especially effective against 8-man fronts rather than 7-man fronts. Eventually those 8-man fronts will realize they are outnumbered against Over Green. 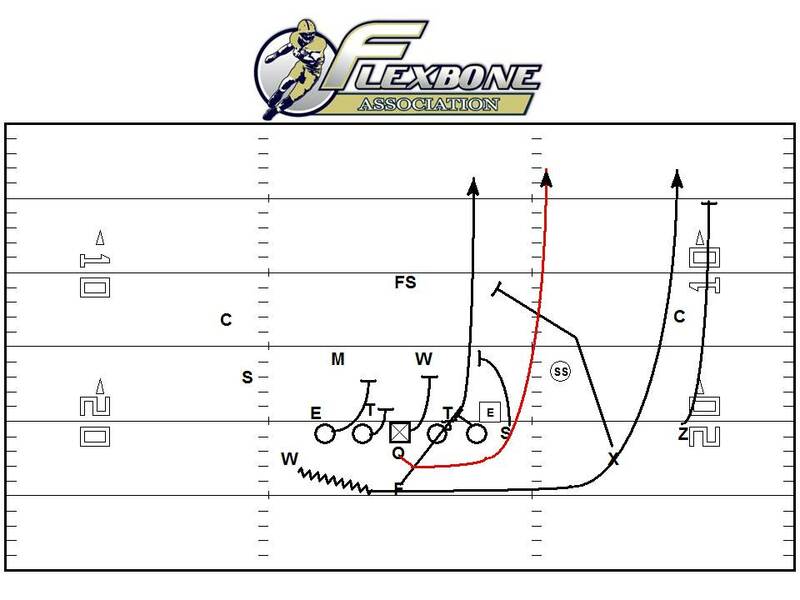 Running 12 (triple option) to Over Green gives you a tremendous advantage (see below). Even running this to the 3-technique gives you numerical superiority. It guarantees that the box is sealed and #3 is accounted for, which can prove problematic against a 4-4 defense. This will force the defense to eventually align in a position to stop triple to that formation. If they don’t adjust, you will be able to run triple option at will. A common adjustment is to bump the linebackers to the two receiver side and to slide the secondary the same way. 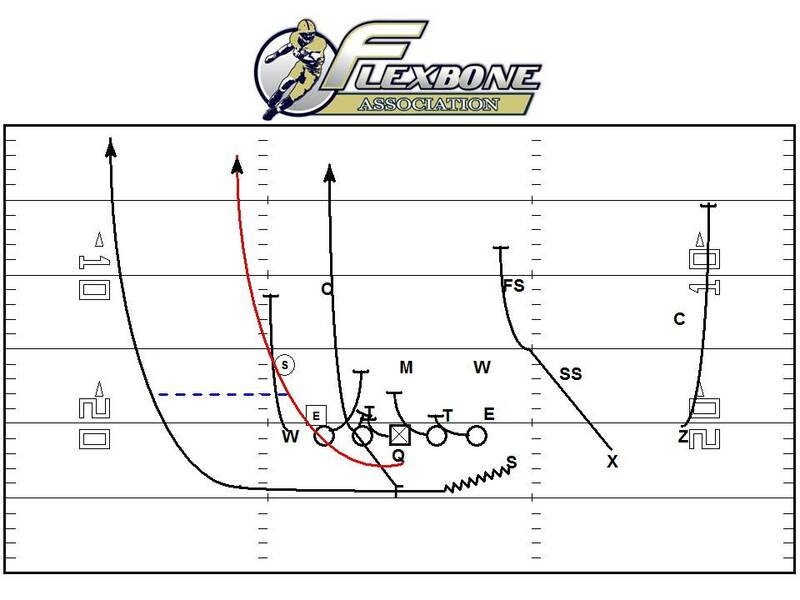 In the above picture the defense is now aligning to take away triple option to the Over side (to the right). The solution is to look at your numbers back to the weak side to see what you have back there. As you can see running triple option back to the weak side is a good solution. Although we are aligned in Over Right in the above picture, the diagram below shows you the blocking scheme out of Over Right Brown. Over Brown presents the defense with a number of problems. Regardless of their alignment it puts three receiving threats on the strong side. The secondary must account for these three receiving threats. It will usually force them to move the free safety to the three receiver side and likely slide the strong side linebacker out of the box. The problem they have is they also have to be able to defend triple option and rocket toss back to the weak side. It stretches them awfully thin to both sides. They key point in using Over (LT/RT) Brown or Green is the alignment of the free safety. In almost all cases if the free safety stays in the middle you should stick with Green. If he starts cheating to the strong side, you should run Brown. Using these two formations in conjunction with each other will never let them beat you with the alignment of the free safety. It’s not only triple option that is a good play against either look depending on how they align, Midline (it will stretch the defense thin in the middle to defend the perimeter) and Rocket Toss (If they are blitzing to stop you, and giving you the leverage you need to run the play out of these formations) are also great plays to run depending on what their alignment is. The goal of your adjustments should be to put yourself in a situation to run triple option again. The entire offense is triple option based. It is your “go-to” play. Although this just scratches the surface, these small formational adjustments will give you an advantage over your opponent. There is no possible way they can defend your offense if you use the entire Flexbone Association Academy system. Can they beat you with three or four days of preparation? 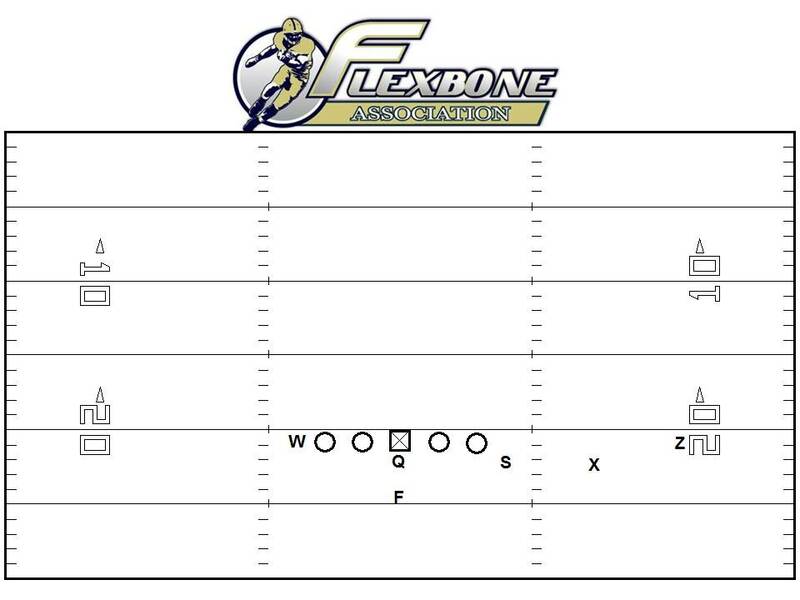 Once you have invested in the Flexbone Association Academy and commit your program to excellence, your will never enter a game without an answer to what the defense is giving you. Your checks will become automatic, and your team will have the chance to compete against superior opponents. You will once again realize the importance of coaching a system, and not simply relying on better players. Your analytical approach to the game will pay dividends for you and every player in your program. If your team is struggling, do you want to close the gap between you and your opponent? If you are a perennial playoff contender, will this give you the edge to win a state title?